Weather can dramatically alter the mood of any image. Photographers learn to make the most of the weather. Now you can also make the weather with Adobe Photoshop. You no longer have to wait for the perfect moment, you can create it. Learning to do this will greatly expand your creative possibilities. 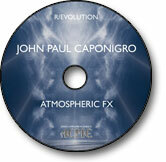 Learn how on this DVD – Atmospheric FX.